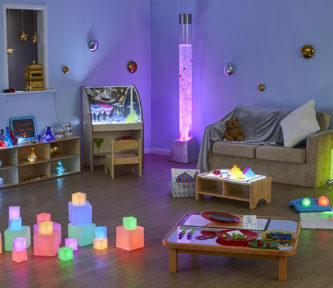 A collection of engaging light up resources to enhance your dark den or sensory room experiences. Explore bright colours and tactile sensory experiences. An exciting array of light resources. Use on its own or mix with our other Dark Den accessories kit. Please note that the contents may vary.